Best Electronic Keyboards and Full-Size Digital Pianos for Beginners! Gabriela’s Music was created by me to help you choose the best electronic keyboard or digital piano for your home! I am a piano and keyboard teacher myself and I love helping my students choose their first digital piano! *This Casio Privia digital piano bundle is among the cheapest high-quality full-sized digital piano bundles for beginners! 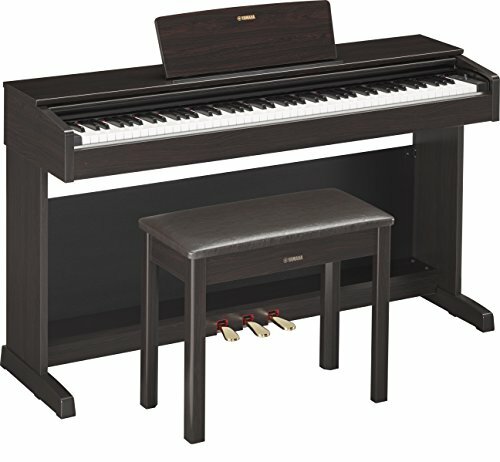 I am a piano teacher who is on a budget and had to sell my real acoustic piano about 7 years ago due to a financial crisis. The next best thing are the electric pianos, or digital pianos. They are way cheaper than a real piano! They are also almost as good as the real acoustic pianos, if you get the right brand and pay attention to a few details. All digital pianos and electronic keyboards have volume control and you can use headphones if you still want to play loud. Another great thing about them is that they offer many other sounds and accompaniments that can help you “dress” a song and make it more fun and lively! You can try different music styles and “transform” a slow romantic ballad, for example, into a cool dance song, just by adding a dance accompaniment to the song and adjusting your playing rhythm… It is a lot of fun to do that! I am totally happy with my digital piano and don’t have any complaints. Of course I still want to have a real piano one day, but will definitely still keep my digital too! Are you ready to see some great electric pianos today? *All electronic pianos displayed on this website were selected based on research done online and my personal opinion. The Yamaha Arius series digital pianos are among the best of the best! They all have top-notch sound quality and they look absolutely gorgeous! They do look like fancy ‘real pianos’ with a beautiful finish and color and they are very easy to assemble and usually very compact as well, which is perfect for smaller living-rooms. You cannot go wrong by choosing a Yamaha digital piano. Yamaha is one of the best brands out there and they will stand by their products and when you buy a Yamaha product, you are buying quality, always. This Yamaha digital piano is perfect for a beginner piano student on a budget, for example. It looks like a real piano and will provide a decent piano sound and feel. Best Full Size Electronic Pianos for Teenagers and Adult Beginners! I almost always recommend to my teenage and adult piano students to get a nice full-size digital piano bundle. The bundle will usually include the bench and the stand, so you will be set to start practicing by yourself or with a private piano teacher. This is a great buy and awesome starter piano! 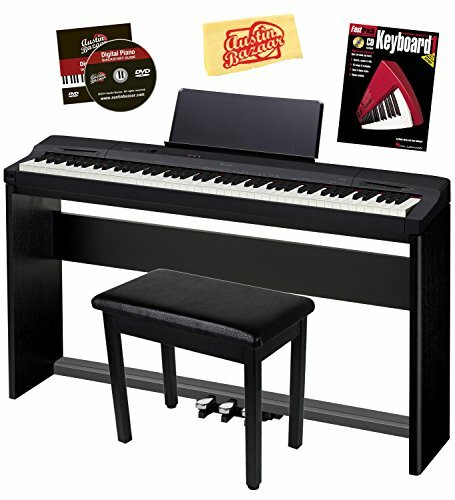 It’s a Yamaha digital piano bundle for sale! 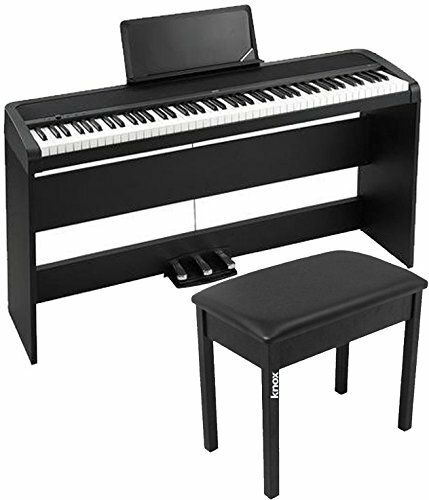 You will get the nice and comfy piano bench, sustain pedal, beautiful furniture-style black stand and a cool instructional book and DVD! This is an awesome gift idea for teenagers! 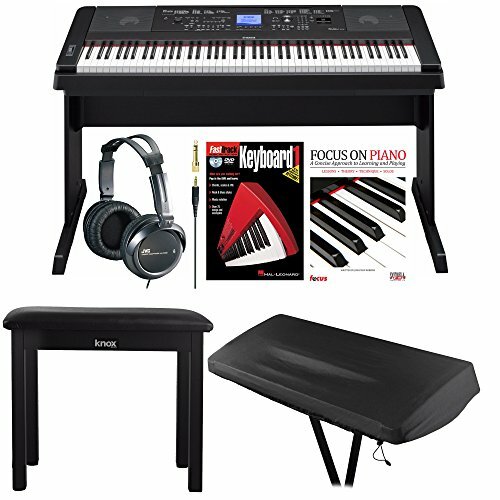 Nice Full Sized Electronic Piano Bundle! 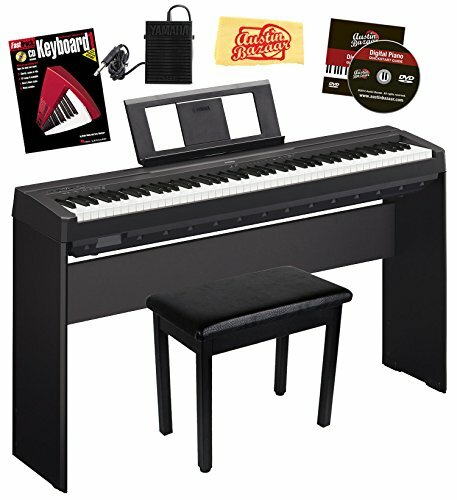 This Yamaha DGX-660 88-Key digital piano comes with everything you see! The cool and comfy piano bench, the awesome headphones (for all that night practicing), the dust cover and even your first piano book! 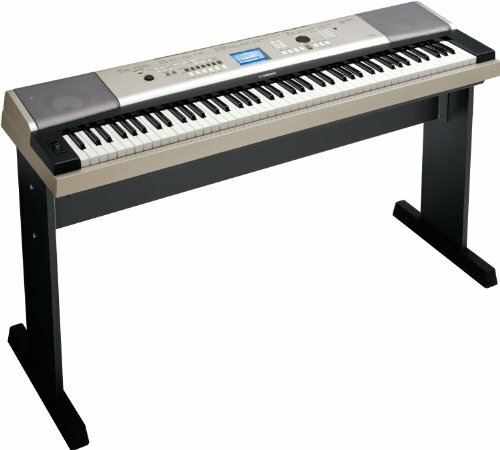 This is one of the Cheapest Yamaha Digital Piano for Sale! This is one of the cheapest 88-keys Yamaha digital piano keyboard for sale! Perfect for beginners and pros as well! I bought it almost 10 years ago and use it almost every day. The sound is amazing and you can also hook it up to an amplifier when you want to entertain your friends and family. There are hundreds of different sound combinations, rhythms and voices, plus beautiful accompaniments too! I definitely recommend this cute digital piano to anyone who is on a serious budget but looking for a high-quality full-sized piano keyboard! The new Casio PX-860 Privia digital piano, besides being a gorgeous digital piano, that will look great anywhere in your home, will also give you a grand piano sound and feel. The 20w speakers combined by the gorgeous cabinet provide an amazing sound quality as realistic as possible to a real grand piano! It is very compact and practical. 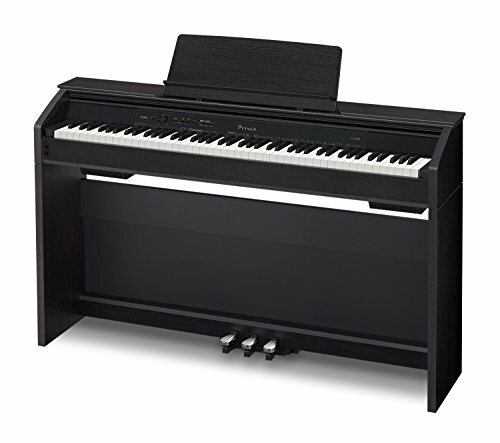 This gorgeous black Korg full-size electronic piano also comes ready for you to start practicing! It has a beautiful, rich and dynamic piano sound and the keys respond to the touch just like a real piano. You will get everything you see on the picture, including the fun to play Frozen book! It has a beautiful and very stylish look, it is very compact and the price is amazing!